Second Photographer, Do you really need one? WHILE YOUR MAIN PHOTOGRAPHER IS DOING THIS…. 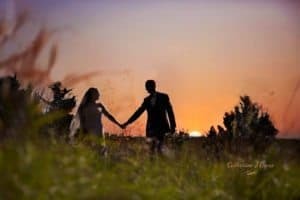 Do I Really Need a Second Photographer for My Wedding? It’s finally here – the big day! Your wedding! You don’t want to miss (and you don’t want your photographer to miss) ONE.SINGLE.THING. Am I right? Therefore, I recommend hiring a “second shooter” – which is also the topic of today’s blog post. What even is a second shooter? I know – it sounds a bit strange – but the second shooter is a photographer that is hired to work alongside the main photographer for an event – which in this case – is your wedding. This additional wedding photographer is another set of eyes and an extra camera that can help capture each detail of your big day. They can take the same photograph at different angles, they can focus on photographing others while the main wedding photographer is focused only on you – the VIPs – the MVPs – the bride and the groom. I love working with a second shooter because they can get those other detail shots. They can get the reaction of your parents when they first see you – especially while I’m busy photographing you and the look you have on your face when you first see them. 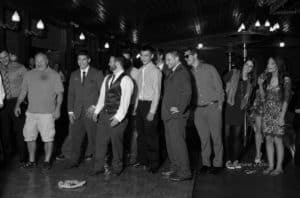 If you’re doing a “first look” (link here to your first look blog), they can capture the groom’s reaction while I can focus on you – the bride. Is it necessary to hire a second shooter? 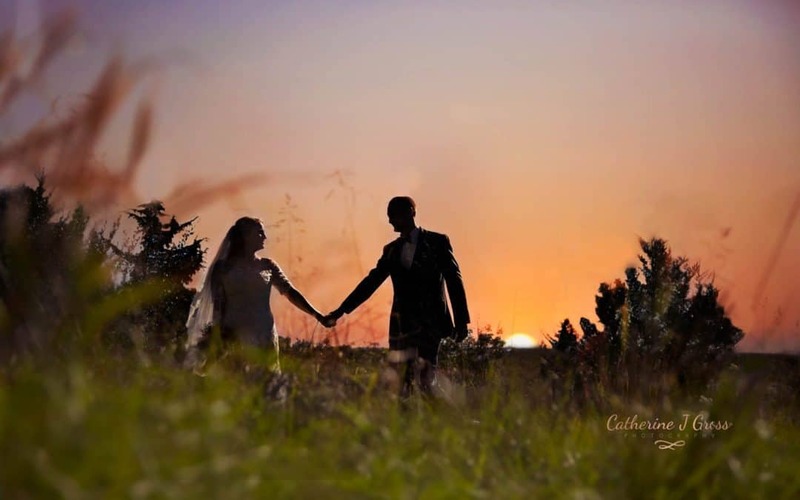 Of course – I’m a bit biased because I love the help and the final product of more wedding photographs! But, before you decide if you really need a second photographer at your wedding – talk with your wedding photographer to see if the package you selected already includes one. Some wedding photographers won’t take photos at a wedding unless they have a second shooter in tow. If they don’t include one – ask for their opinion and how comfortable they are with one and maybe if they would help cover the cost if you did decide to hire someone to assist. Trust me, like I said before – if I can have a second shooter – I will – because I don’t want to miss a single minute of your day. You’ll have these photographs to look back on for the rest of your life. But like I always say – this is YOUR day and you can spend your money however you would like. Just make sure you’re getting what YOU want so that you only have fond memories to look back on. Wow! I had no idea how much added benefit would come from a second shooter. So interesting. We had a company that had two people. So one stayed at the venue with my husband and took before pictures of him and the venue. One came with me and took photos of me and the girls getting ready. Then they both took photos of guests and the remainder of the wedding. This is a perfect reason to have a second photographer. It is hard to get your photographer in two places at once. Having a second photographer allows for different perspectives as well. We had a second photographer at our wedding and I wouldn’t have had it any other way. They seemed to capture a lot more of the event than one person would have been able to. Plus they actually helped out with a lot more than just photography, e.g., helping us get ready before the wedding and helping the DJ keep everything organized and on track. I would highly suggest a second photographer if possible. That’s great news! Having two photographers does allow for a different perspective and more pictures 🙂 You are certainly right, having another photographer allows for a second pair of hands to step in and help when needed. Thank you for sharing your experience. We had a second photographer. It was the best decision we made. There were many more pictures our main photographer would not have gotten to take. I loved looking at all our pictures and could tell the extra eyes got each second of our special day. I suggest to get that second photographer. LeAndra, thank you for sharing your experience. It is nice to see what others have decided to do and why. It seems as though many people have loved having a second photographer.